Martin Kove is known to fans as Cobra Kai sensei John Kreese in the Karate Kid series. Kove appeared as Cully in the 1967-1969 CBS series, Gentle Ben, with Dennis Weaver and Clint Howard. He also starred as George Baker in the short-lived CBS series Code R (1977). He also starred in the short-lived science fiction series Hard Time on Planet Earth and made guest appearances on several television programs including Gunsmoke, Three for the Road, Kojak, Quincy, M. E., The Incredible Hulk, Hercules: The Legendary Journeys, The Rockford Files, The Streets of San Francisco, and Black Scorpion. Kove was a cast member on the 1982–1988 CBS television series Cagney & Lacey as Detective Victor Isbecki. After playing a traitorous helicopter pilot in the 1985 film Rambo: First Blood Part II, he reprised his role as Kreese in the 1986 sequel The Karate Kid, Part II and the 1989 sequel The Karate Kid, Part III. He studied Okinawa-te Karate under prominent black belt Gordon Doversola Shihan. Kove appeared in Kung Fu: The Legend Continues as the Shadow Assassin in Episode 3, Season 1, “Shadow Assassin”, which aired on 3 February 1993, and in Episode 23, Season 2, which aired on 26 January 1994. 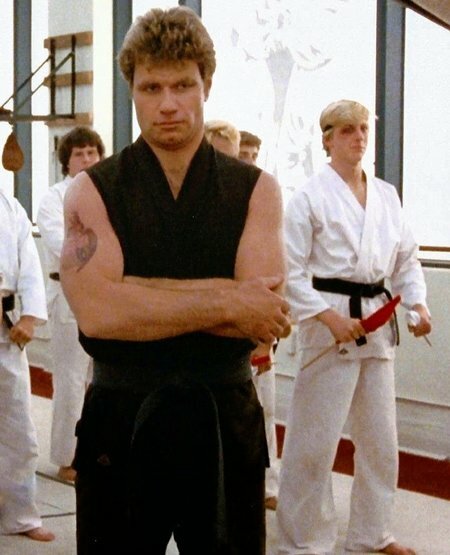 In 2018, Kove made a cameo appearance as John Kreese in Cobra Kai, a sequel series of the Karate Kid franchise which is set 34 years after the 1984 film. Kove is confirmed to have a featured role in the second season of the series which is scheduled to air on YouTube Premium in 2019.